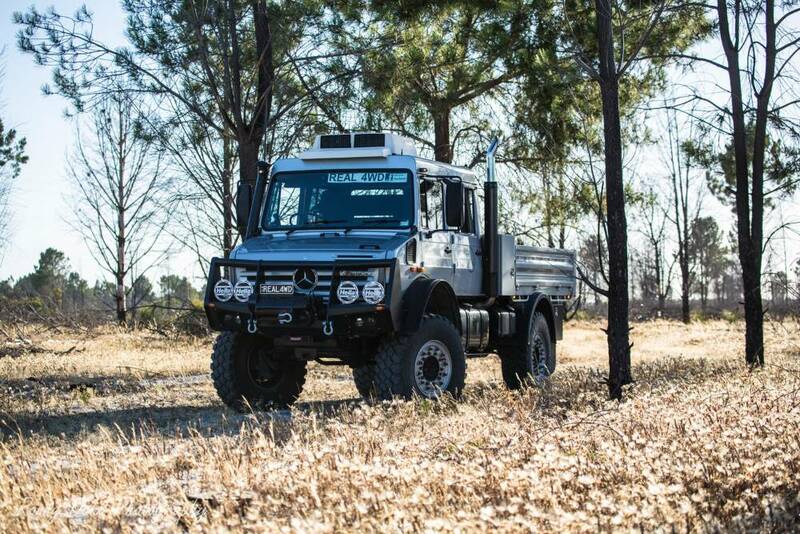 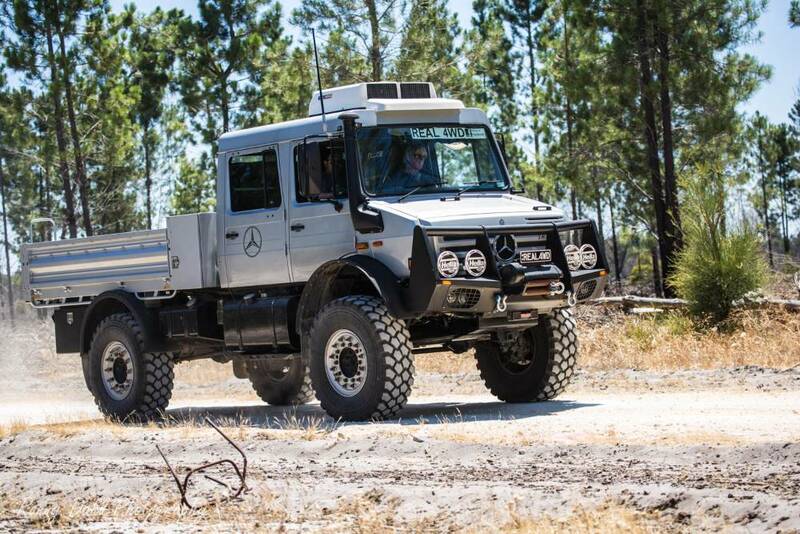 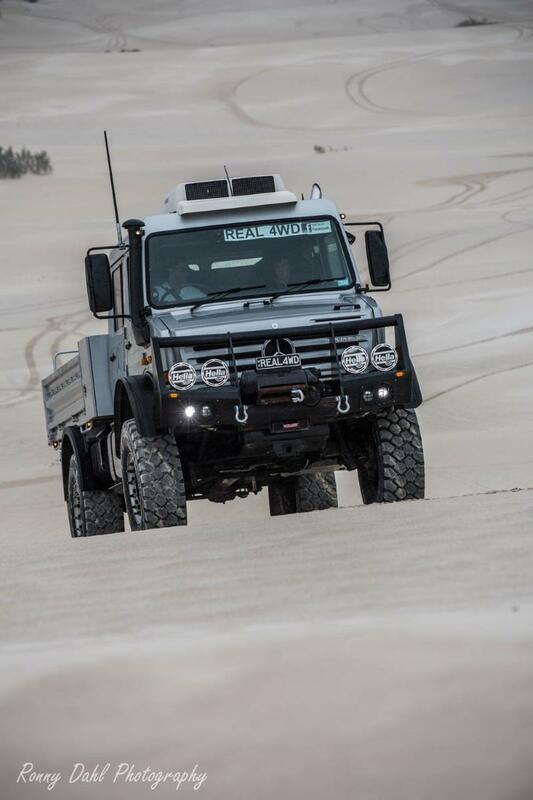 So here we finally have it… A Mercedes Benz Unimog! 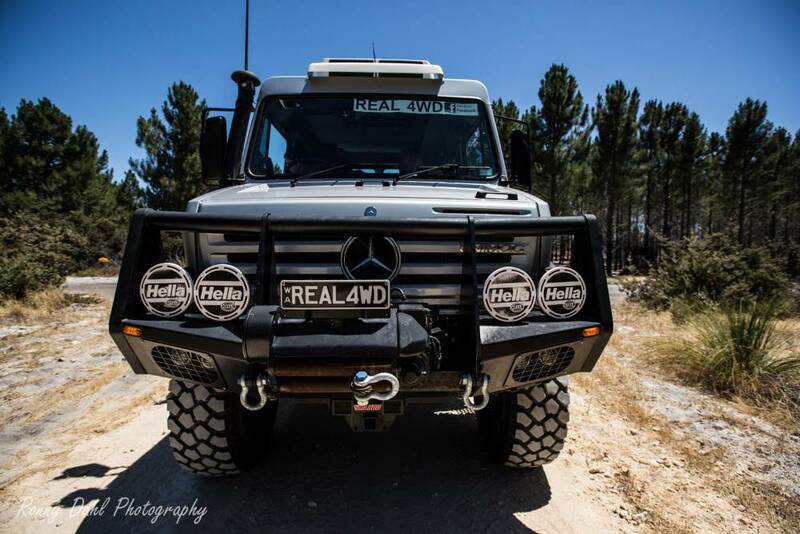 With plates saying REAL4WD. 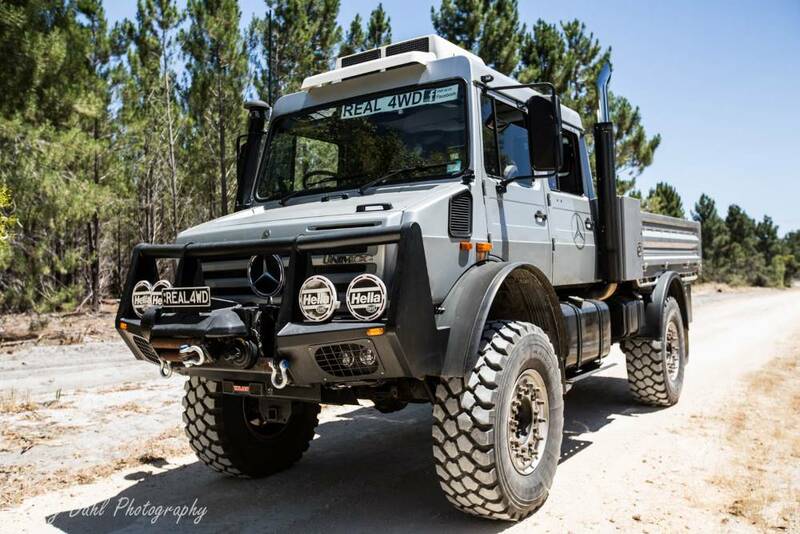 I was so excited to shoot this rig as it’s the first ever Unimog I’ve been up close to in an Off-road environment. 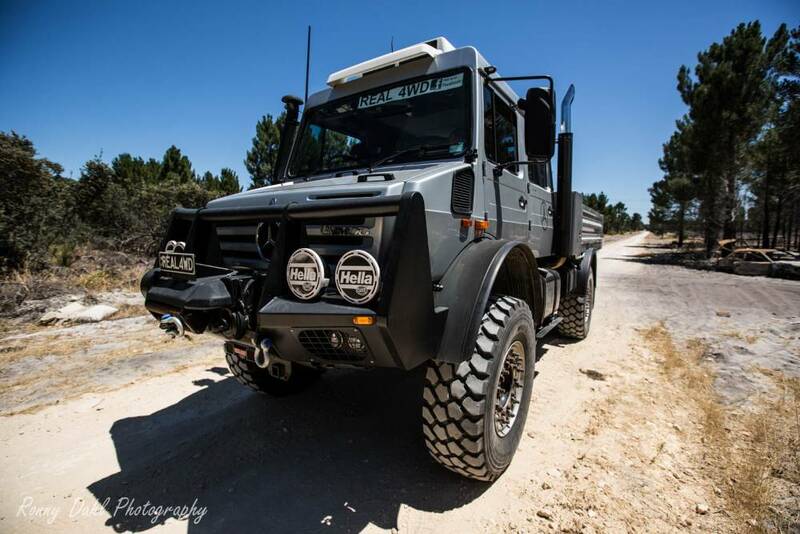 Niel’s Unimog in particular looks very tough with its tray back look. 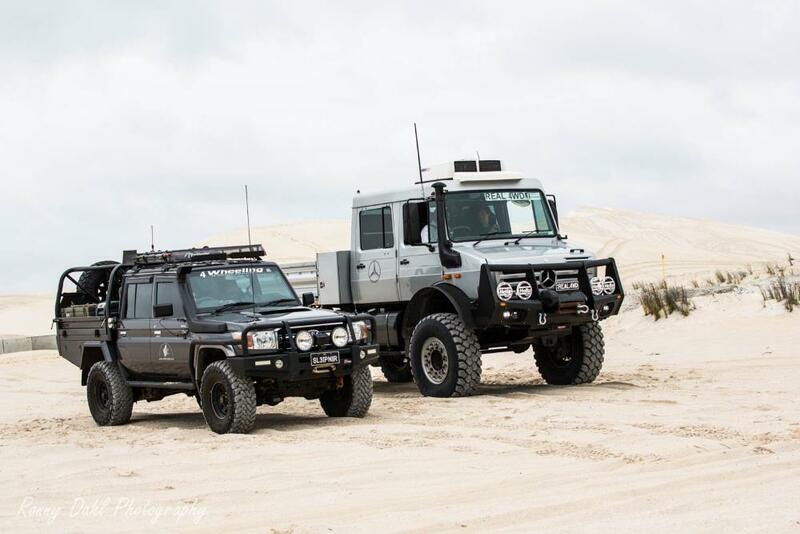 Sitting next to this machine made my 79 series Landcruiser feel like a passenger vehicle. 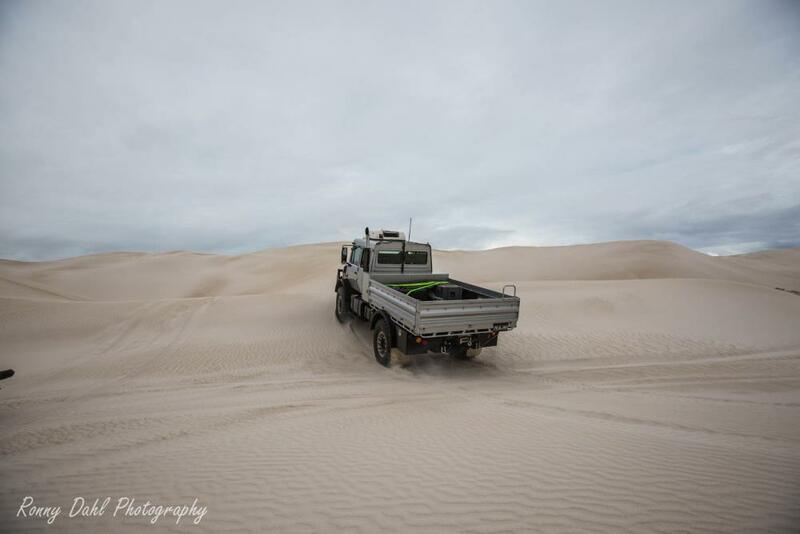 It handled very well off-road and is very hard to get bogged with its 500mm clearance and taking on very steep sand dunes at speed was no problem with the mammoth approach angle and 44 inch rubber… Yep 44 inch! 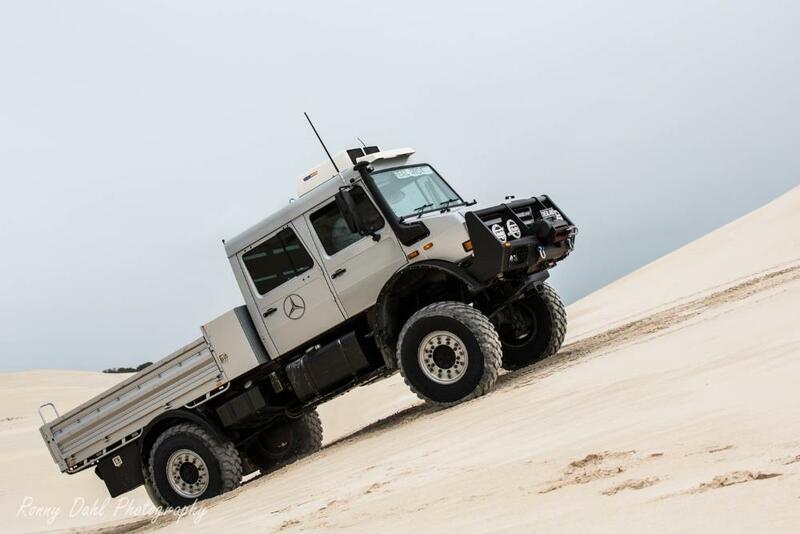 It requires a crane to lift the tyres on and off the rear tray. 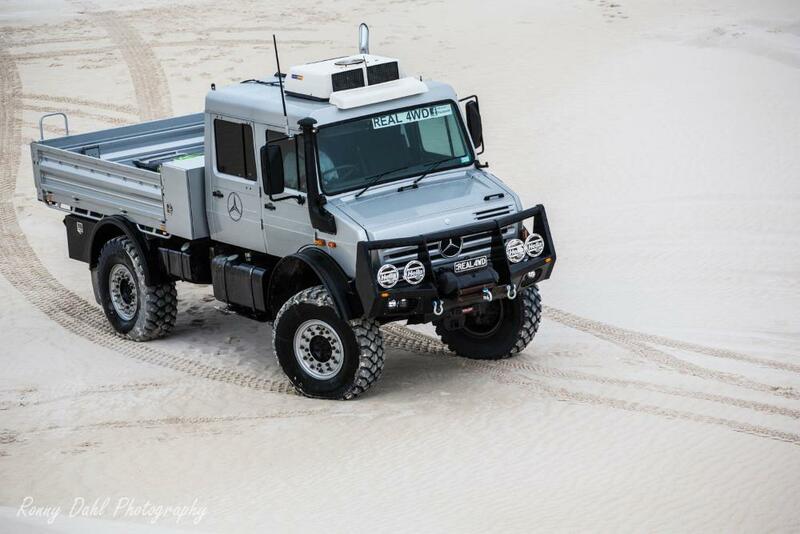 Oh wait there is much more, 920l Diesel capacity, forward and rear winch, the list goes on. 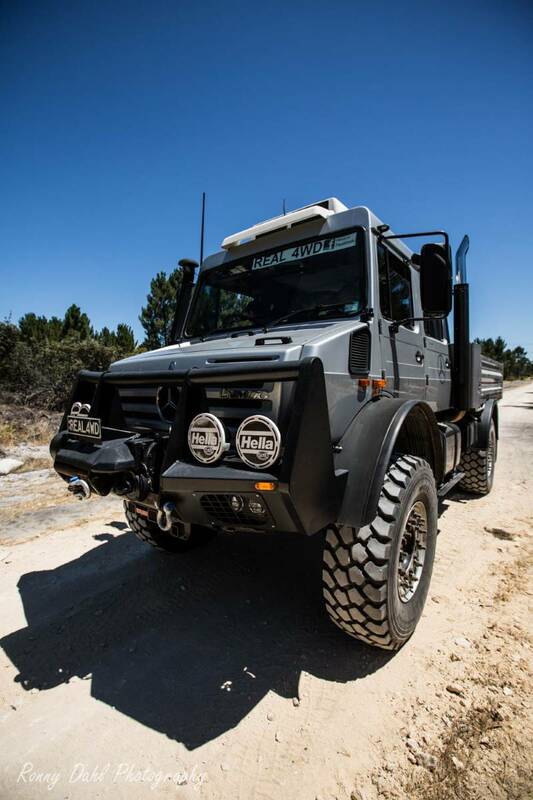 Full specs and eye candy in the video at the bottom of page. 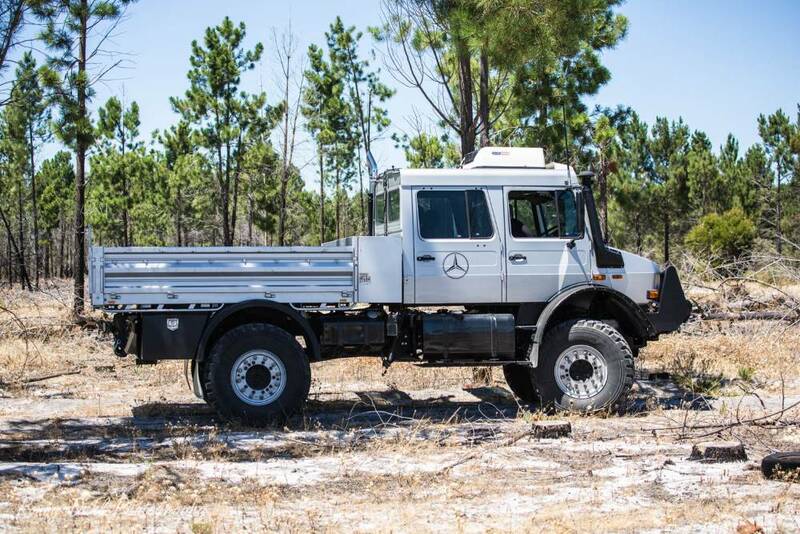 Neil’s Mod List For His Mercedes Benz Unimog. 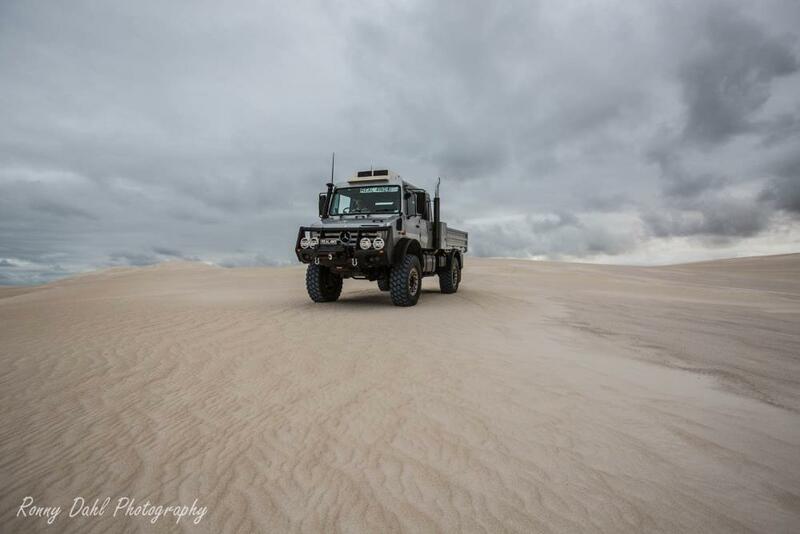 Just after we had the modifications done to the mog we took it for an off-road test run. 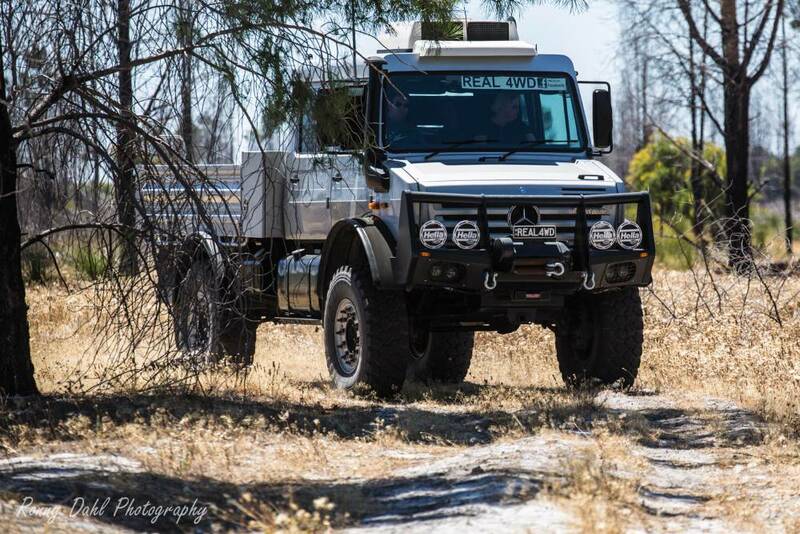 It tipped sideways in a ditch and was saved from going too far by the height of the bank which meant we were able to back out. 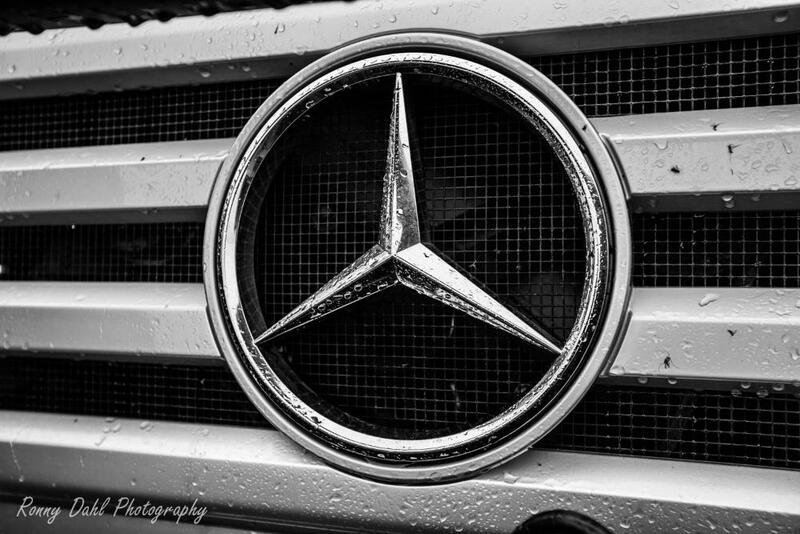 Look out for other drivers as they tend to get distracted by this vehicle! 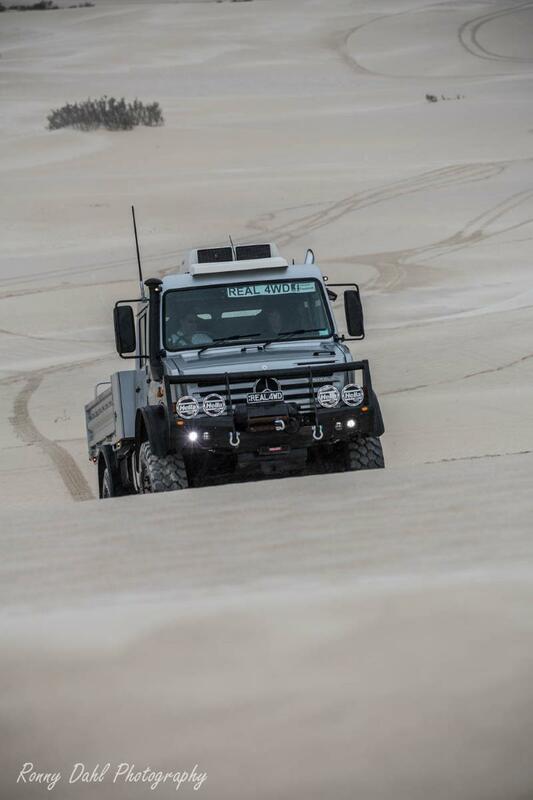 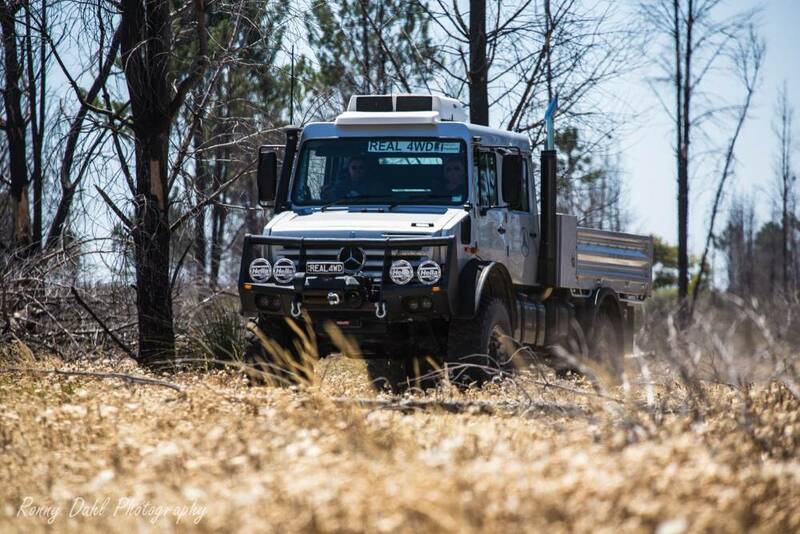 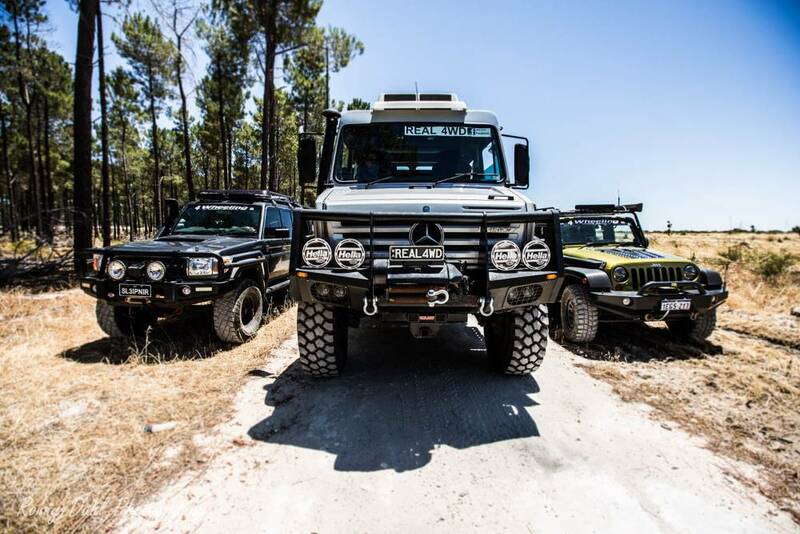 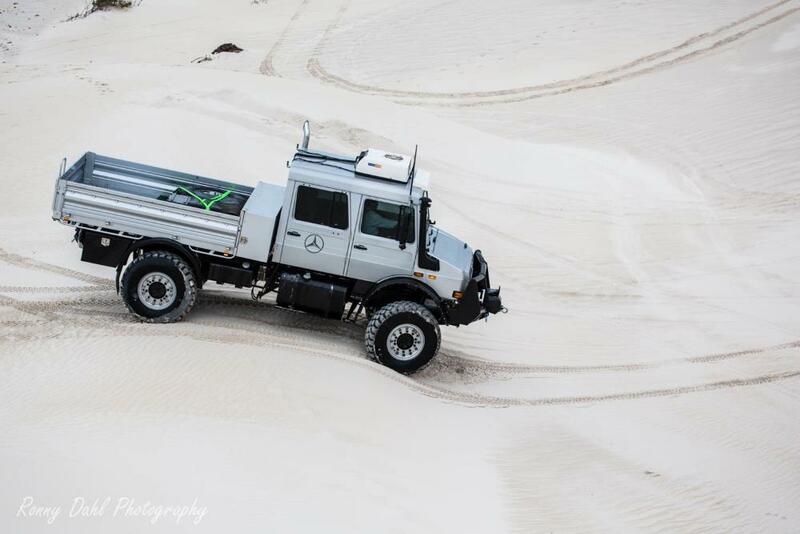 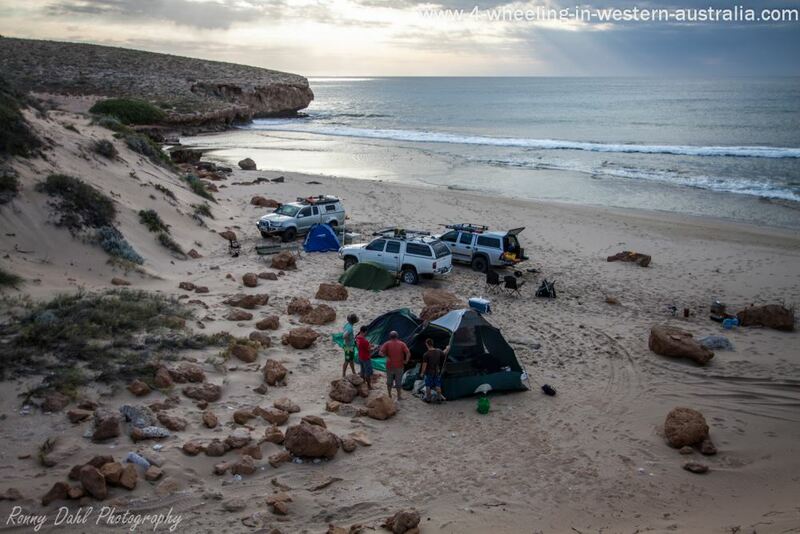 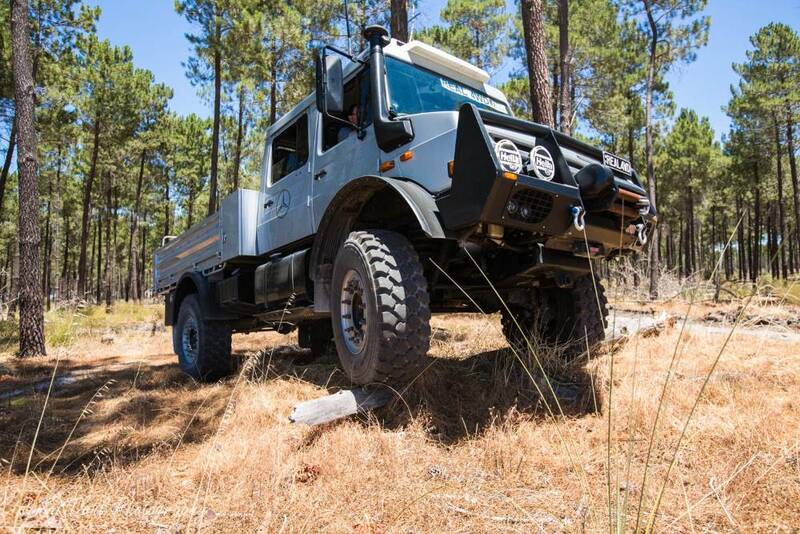 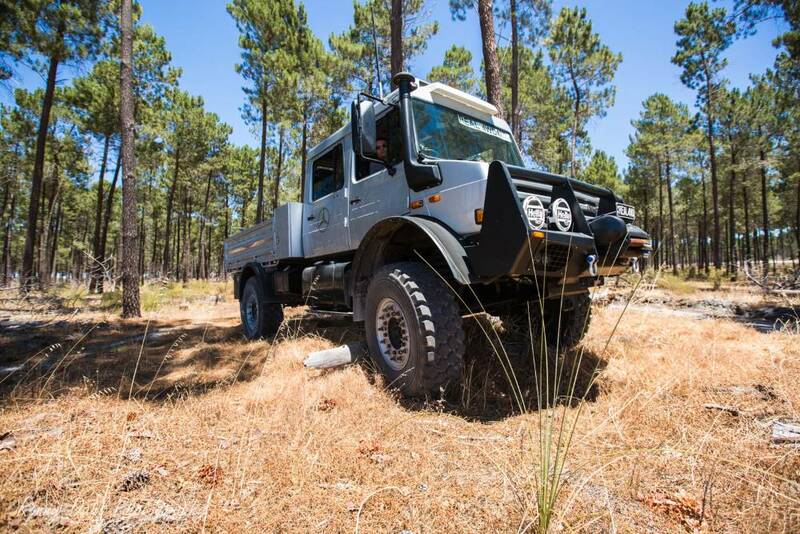 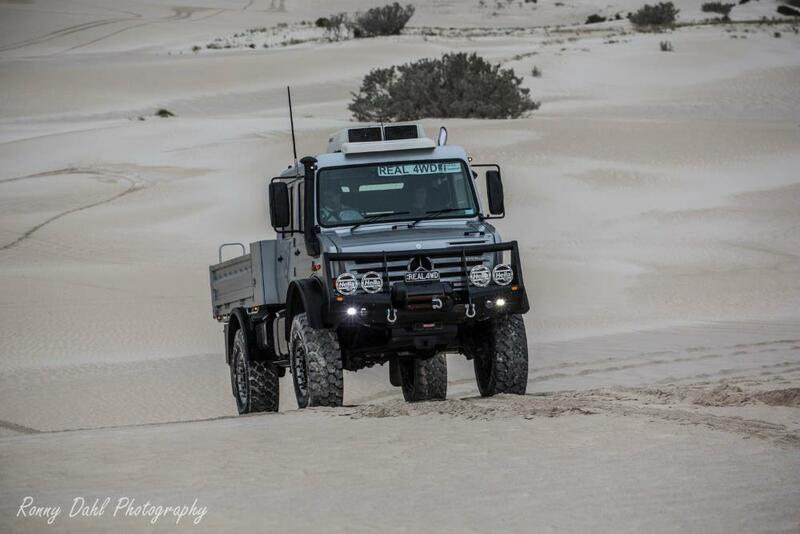 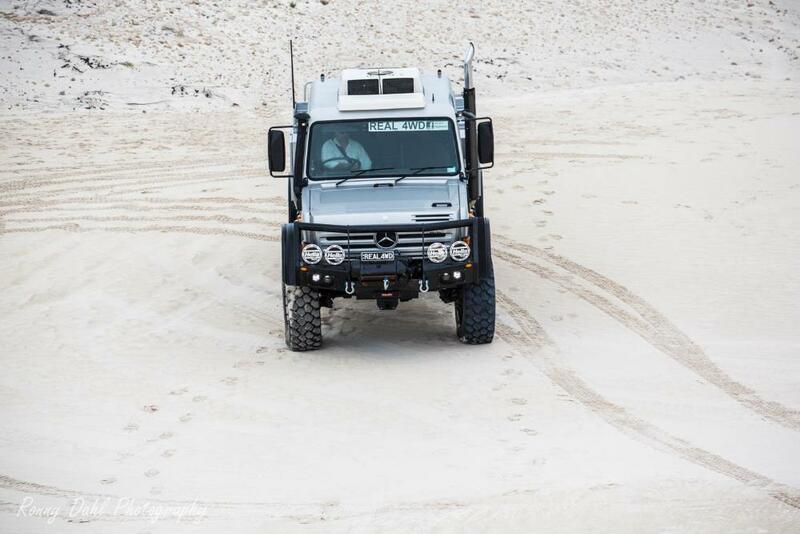 Leave Mercedes Benz Unimog And Go 4 Wheeling In Western Australia.